For anyone interested in understanding more about the world around them the trilogy written by Robert Monroe is compulsory reading. These three books are beautifully written and just as beautifully narrated by Kevin Pierce. They are a pleasure to listen to. I found this, the first book quite disconcerting. Many of Mr Monroe’s experiences don’t sound Iike much fun but but his charting of his journey with such openness, sincerity and integrity is spell binding. Make sure you read this so you understand what courage Robert Monroe had as he faced into his special gift and his curiosity as he worked to develop it. Then you can read and reread books 2 & 3 as I have understanding the full context of the journey. Mr Monroe gave a gift to the world in charting his journey so bravely so that if we chose to follow we can do so with more control and awareness. What a beautiful, amazing and courageous man. what a strange and perplexing Universe we live. You will find no answers but will nudge open a door to a vast beyond that needs exploring. so what are waiting for! I bought the actual book on the late 80's and loved it. The narrated version is by far the best. It is clear and narrated as the author himself would have done it. Great book I highly recommend it. Methodical, Revealing, Fascinating exploration . . 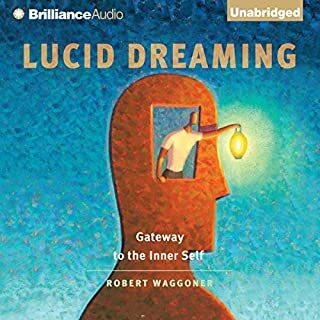 This is the best introduction, explanation, and instruction book on the greater reality experienced by people in their dream states or consciously while out of body. 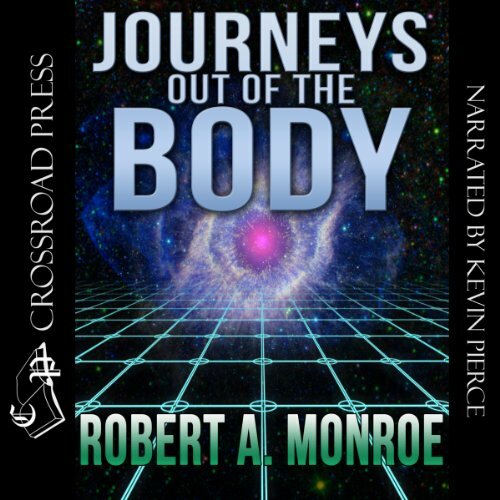 Robert Monroe's book is often referred to by other authors who share their out of body experiences and methods. Perhaps that is why some of the other authors' books lack specific details, maybe they assume people have started with Robert Monroe's books. This, the first of Robert Monroe's books, is the most methodical and explanatory of the three. 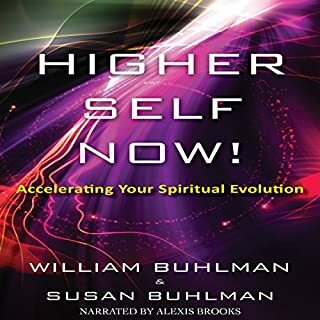 The second book, written about a decade later, is more relaxed, funny at times, adventurous, spiritual, and fascinating. 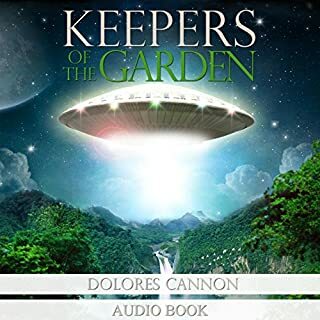 The third book, also about another decade later, cycles back and incidents referred to here in this first book are viewed differently, and mysteries are revealed. 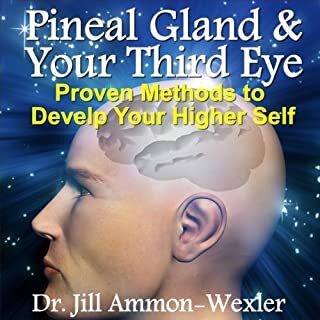 The third book is a mature understanding of what has happened in the previous decades, examinations as to why we are born, who we are, humanity's purpose and destiny, and more on our evolution. 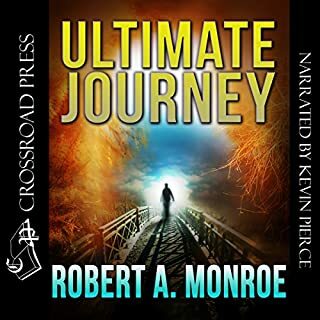 I hope the second and third books Robert Monroe wrote, Far Journeys and Ultimate Journey will soon follow in audible format as well. 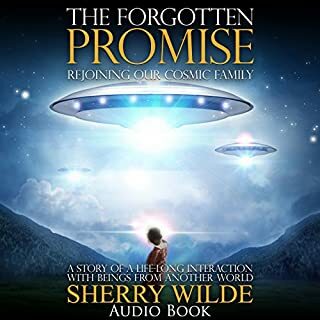 The audible format does a lot to enhance the first book. 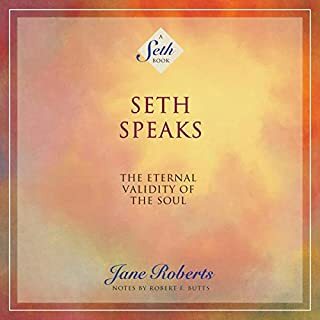 There were moments in reading it in hardcover format that some sections were dry, yet having it read out loud in the Audible format was a different experience. The book retained my interest. The descriptions of various layers of reality, referred to as Locale 1, Locale 2, Locale 3, etc., the very useful descriptions of how to achieve the out of body state, the many experiences shared of what happened, where he went, what he saw . . . all were interesting. For those who have read Robert Monroe's books already, along with books by other OBE authors, this is a fun book to read again because if you've already read the trilogy, and remember how the books cycle back to the first book, it brings a smile to your face when you hear Bob Monroe relate what he went through, knowing what comes later as he gains a better understanding of who he is. 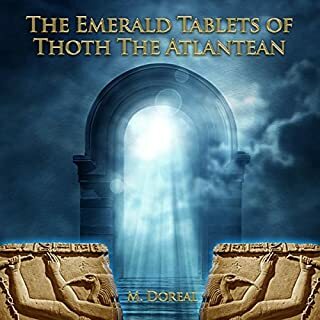 And, because there is so much information in this one book, much may have been forgotten from before. A classic, "the" OBE book to have. A Must Read for Anyone Interested in OOBE! What made the experience of listening to Journeys Out of the Body the most enjoyable? The late Robert Monroe founded the Monroe Institute. No doubt, he was a guru in OOBE/astral projection. His descriptions of his experiences and the subject are masterful and authentic. 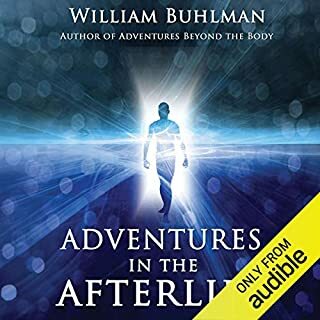 Having had frequent OOBE since childhood myself, it's great to come across an author who can validate and explained the similar experiences that I had in the astral world. 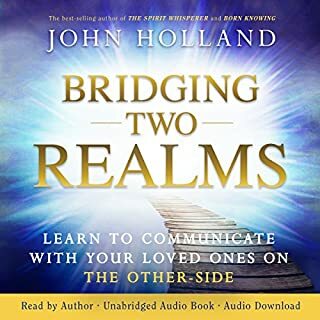 One of the best metaphysical books out there! Get Ready for Take-Off. You are ready for flight. 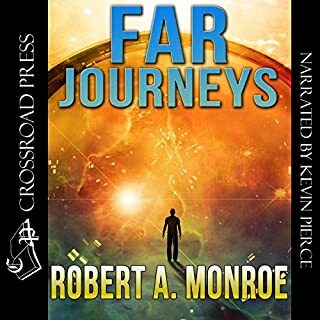 10hrs of legit beyond-Earth journeying as explained from Monroe's words. Fiction it is nigh and he has weaved a story from over a decade of Astral Projection experience. Mr.Monroe undertook the equivalent of the legendary expedition of Capt. Lewis and Capt. Clark but through unchartered extra-dimensional territory. excellent book, with lots of firsthand knowledge as well as information about learning how you too can have OOBE's. Definitely a page turner from beguiling to end, a must read for OOBE'S and those interested in learning how to do it yourselves. Worth every dollar!!!!!!!! Having experienced several OBE's, was able to identify with several of the author's account's. 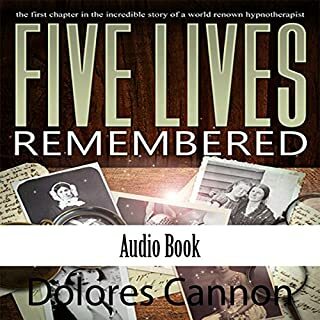 His intense descriptions of his revelations was quite intense, yet almost too laborious and seemingly written from a clinicians point of view and not from his supposed business background. If not for the identification factor, I might have labeled this book as too dry and methodical. 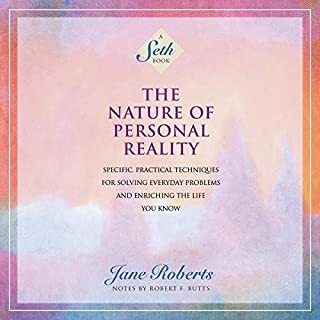 This is one of a few books that led me to experience true miracle healings and out of body experiences. You can discover this for yourself if you are opened minded enough. Above all place your faith in the love of the Almighty. Very straight forward with no religious goggles to fog it up! Loved how straight forward Robert was about it all. 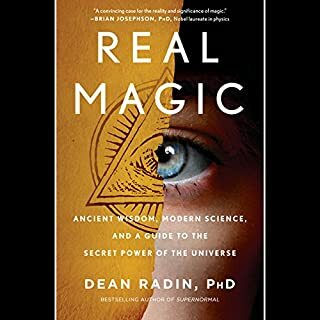 He writes it all from mostly a scientific point of view and gives results the same way. Very good read, can't wait to start on his second book far journeys. 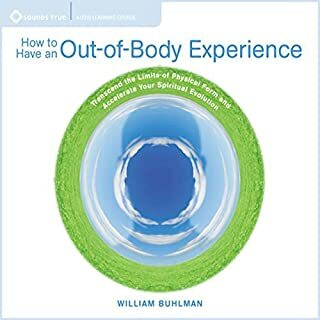 by far the most logical, scientific, and practical view on the out of body experience without all the weird "woo woo" stuff. This is such an excellent book. Life and maybe death changing. One the most important books ever written. If you could sum up Journeys Out of the Body in three words, what would they be? The narrator, obviously. It's all about his experiences. Which character – as performed by Kevin Pierce – was your favourite? Very interesting & certainly fascinating. See for yourself, know for yourself. I look forward to the rest in the series. 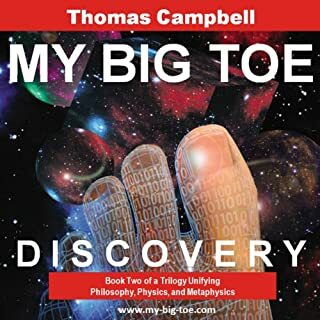 I can also recommend My Big Toe by Thomas Campbell for those who really want to dig deeper into the topic. He's a physicist, with a dry style & a scientific approach. This man is a genius. Loved all the stories although still remain sceptical. The book is very long but if this is right for you, then its well worth it. Wow, just wow. If you want to learn more about OBE’s, this is the book for you. Can’t wait to start his other 2 books now.